View cart “Egmont Kids Mini Cutlery Set – Fork, Spoon, Knife – Robots” has been added to your cart. 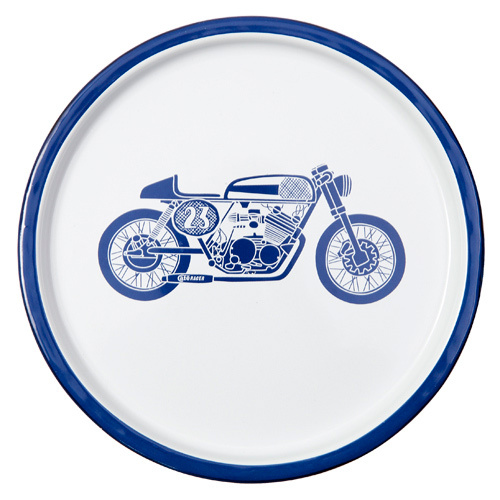 With the Mr & Mrs Jones Enamel Workshop Plate, your little one will learn to love meal time! Cool motorbike design. The plates are a rustic style finish to reflect the workshop style.